Look across Porto’s River Douro from the cobbles of the Ribeira and you’ll see layer upon layer of terracotta roof tiles. Nestling in the cool shadows beneath are the Port Wine Cellars and lodges of Vila Nova da Gaia. You’ll find over 50 Port lodges, or caves, here with some familiar British names gracing their hoardings; Taylor’s, Croft’s and Cockburn’s amongst them. 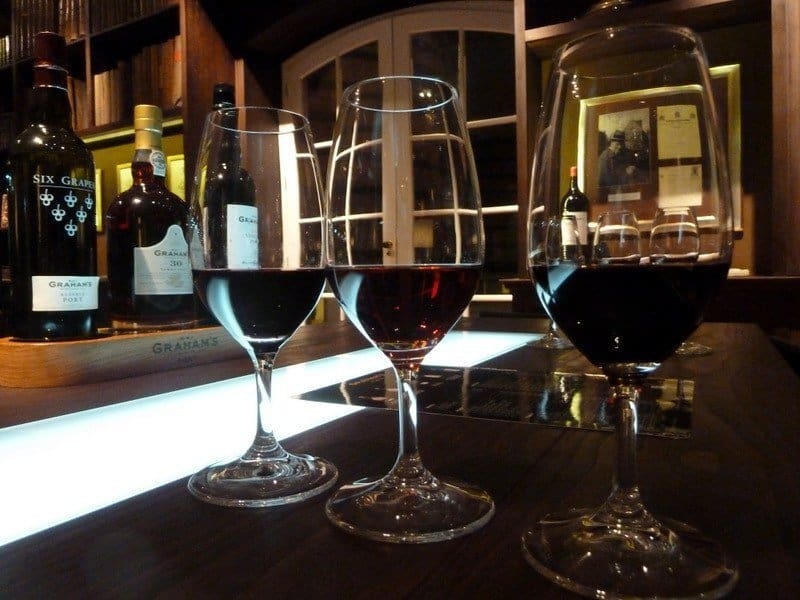 We wanted to visit one of the lodges for a Port wine tasting but with so many Port cellars in Porto how would we choose? 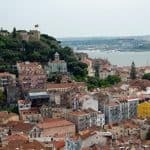 Luckily, Mr Jones has a friend who knows Porto well and didn’t hesitate in recommending Graham’s Port Cellar Unluckily, as we picked out the names of the lodges from across the river, our ‘port of call’ appeared to be the farthest cellar away and at the top of a steep hill! We set off on foot from Porto’s pretty Ribeira over the Dom Luis Bridge and over an hour later we arrived at W&J Graham’s cool, white lodge. We’d definitely earned our Port tasting! 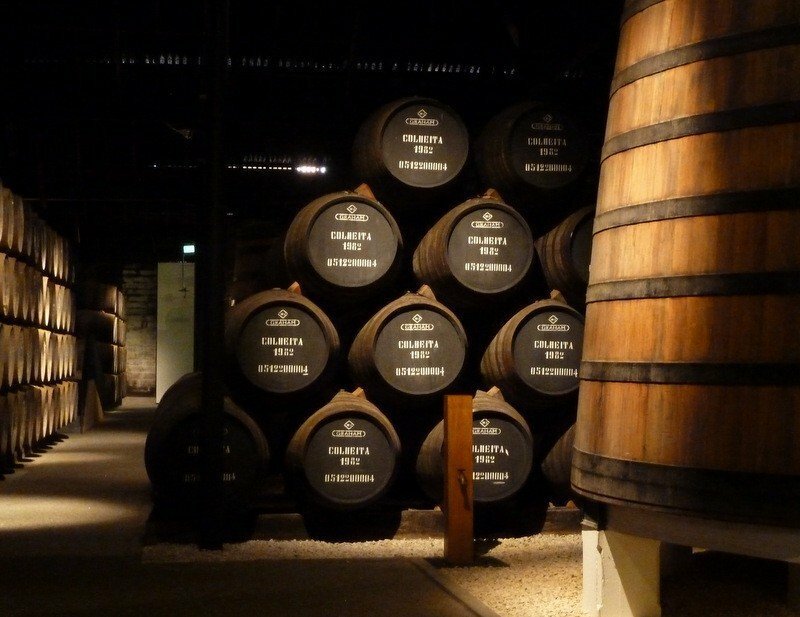 The tour has a choice of tastings depending on the quality and age of the port. 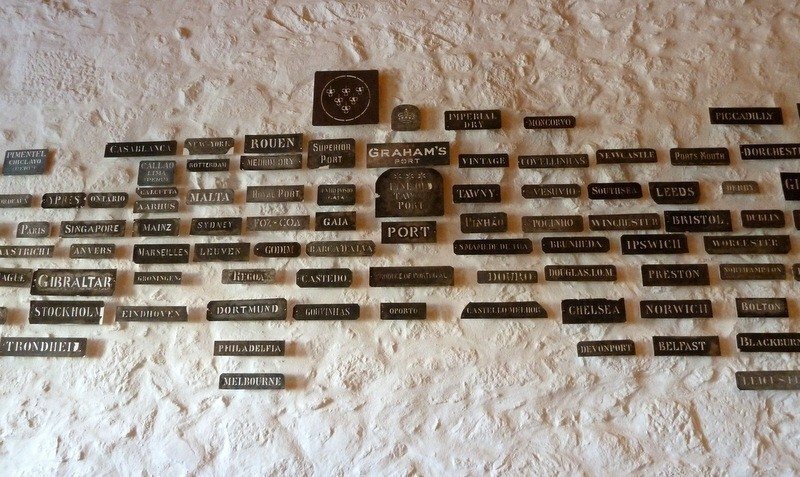 We went for the €20pp ‘Graham’s Tasting’. There are a wide range of tastings to suit every pocket and palate. First up we were shown a short film about the heritage of the company. 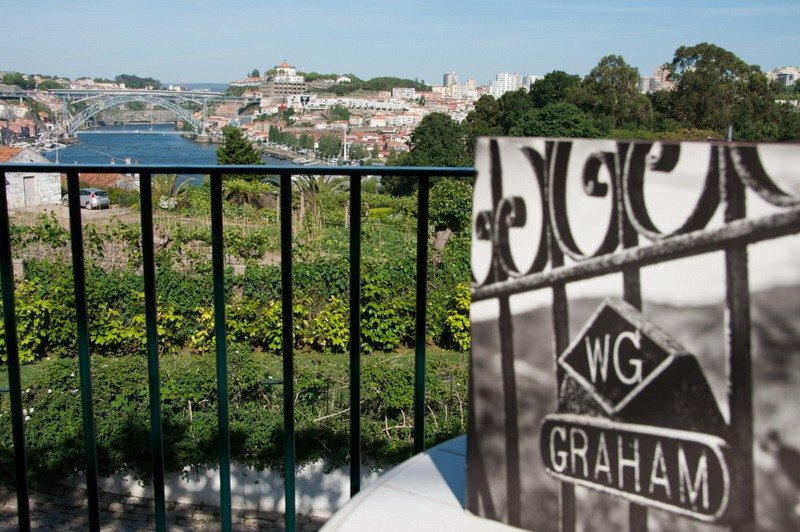 W & J Graham’s was founded in Porto, in 1820 by William and John Graham. 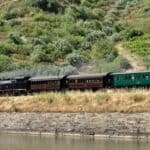 Originally textile traders the brothers starting producing Port out of the Douro Valley after being given 27 barrels of port as payment of a debt. In 1882 Andrew Symington came to work at Graham’s but eventually left to set up his own business. In 1970 Symington’s bought Graham’s and the business is still run by five Symington cousins today. Graham’s was one of the first companies to invest in its own vineyards in Portugal’s Douro Valley. 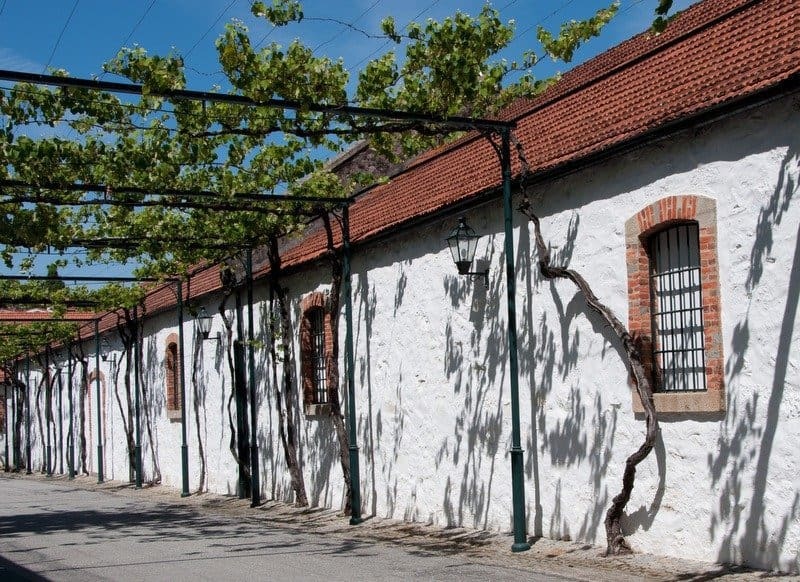 In the same year, 1890, their port cellar was built in Vila Nova de Gaia which has the ideal climate for ageing port wine. The grapes that are used to make Port must be grown in the mountainous Upper Douro region of Northern Portugal, the world’s first officially demarcated wine region in 1756. This protected region within the demarcation boundaries is the only place in the world that can produce authentic Port just like the Chianti region in Italy or Champagne in France. The company is still mindful of the original Graham family motto, ‘Do Not Forget’ and in some vineyards still make a small percentage of Port using traditional methods alongside the modern. Some of the grapes are still trodden by foot in stone ‘lagares’, vines are grown using natural weed-control and much of the picking and pruning is still done by hand. 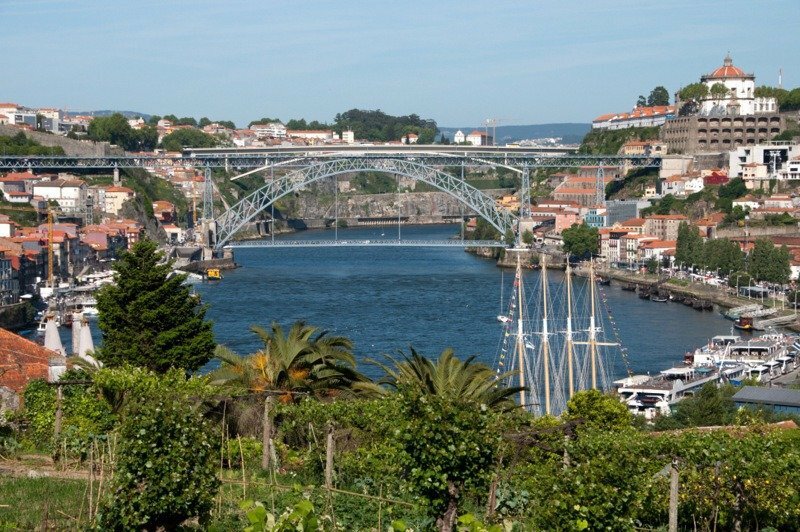 Until the 20th century Port was transported to the Lodges in Vila Nova de Gaia for ageing in flat-bottomed boats, known asbarcos rabelos. 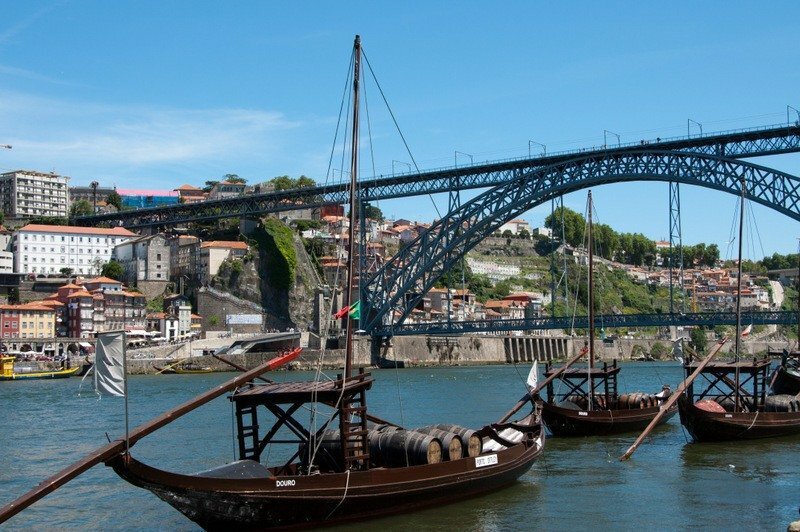 The last boat carrying barrels of port was said to have travelled the dangerous Douro in 1961. Nowadays the boats are only used once a year in the Rabelos Regatta, a race held on the River Douro on 24 June for the feast of São João (St. John), the patron saint of Porto. Next we entered the cool, dark cellars for a look at the vats and barrels and to learn how the various types of Port are aged. The stone walls are half a metre thick and there’s sand on the floor to regulate the temperature. The large vats are placed on white stones so it’s easy to spot if there’s a leak. We pass cages where the top Vintage Ports are locked away going back years and years. As we’d opted for ‘The Graham’s Tasting’ we by-passed the main tasting room and entered the Private Vintage Room, a large library-like room with leather armchairs. 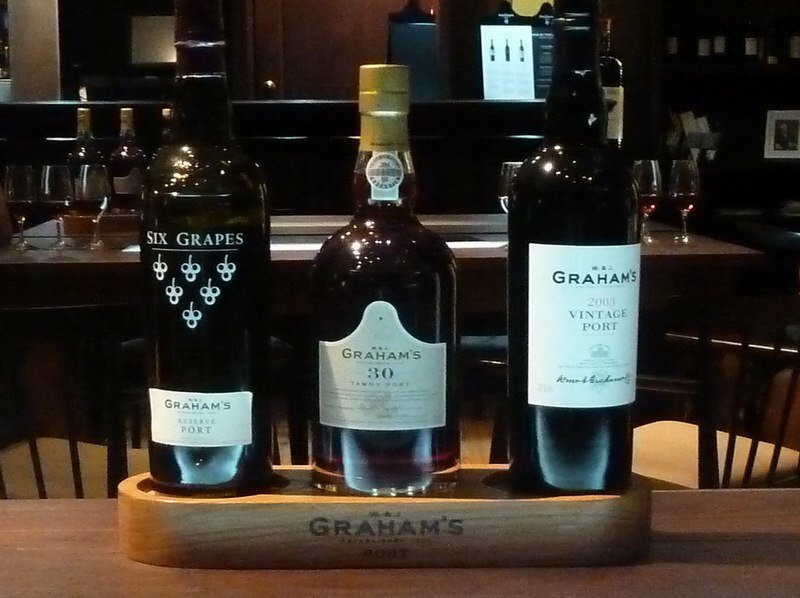 A bottle each of Graham’s Six Grapes Reserve, 30 Years Old Tawny and Vintage 2003 were lined up with two glasses of each poured and ready. There was a lit panel in the table to stand the Port on so the colour could be seen clearly. A friendly member of Graham’s staff talked us through each Port. 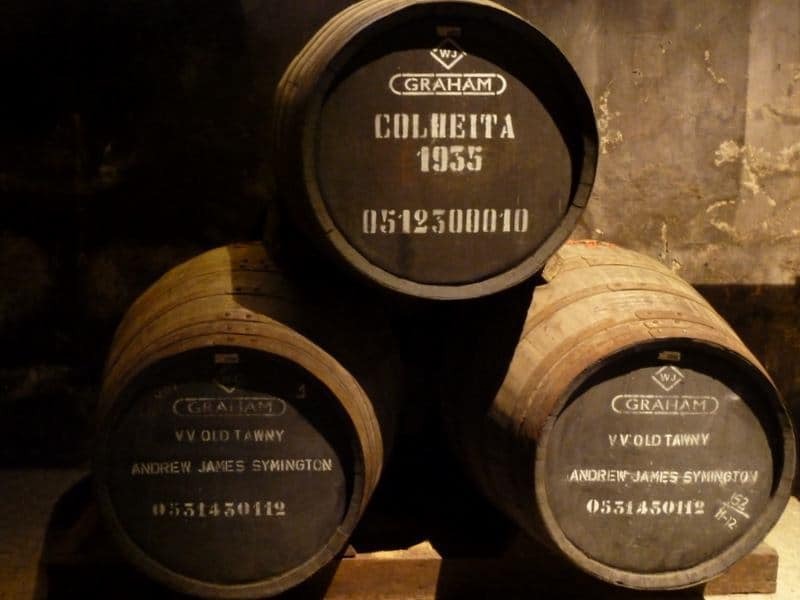 The flavour of the Port is due to the way it has been aged and there are three ways to age it; in the bottle, in small oak cask or in a large vat. Seasoned casks are always used in this process. Reserves are a blend of young wines from different harvests which have been aged 4-7 years in barrels before being bottled. They are full and fruity with a rich red colour and slightly more refined than a Ruby Port. Contrastingly Tawny Ports, as they’re aged in oak barrels, come into contact with oxygen. The colour changes, from a deep purple-red of the newly barrelled wine to rich tawny autumnal shades. They taste more of nuts and dried fruits. The colour depends on the amount of time spent in the barrel which for higher quality aged Tawnies can be 30 years or over. Vintage Ports are made from the finest wines and only when a vintage year is declared by the Port producers. They are only aged for 2-3 years in wooden vats before they’re bottled where they’ll continue to mature for at least 15 years and some for over 30 years. After this they have no further contact with the air and only slow changes in the colour, structure, and character of the wine takes place. The glasses were quite large so we took our time and spent about an hour in the tasting room, making sure that we finished every last drop! Each of the Ports we tried were quite different from each other and all were delicious. My favourite was the mellow Tawny. We emerged, slightly fuzzy around the edges and smiling, from the Vintage Tasting Room where we made our way through the light-airy shop blinking at the change of light. But the Graham’s Port Cellar experience wasn’t quite over. As we went to leave we emerged onto the terrace next to the Vinum Restaurant to be met by the most fantastic view over the cellar’s rooftops and down the River Douro to the Dom Luis Bridge. A fabulous finale to a very enjoyable Port Wine tasting. A funny thing happened on our flight home. 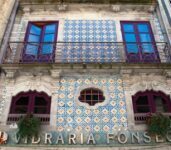 A gentleman – who was totally charming – in our row started chatting about Porto as he lives there and was interested to hear what we’d seen and done. Of course we mentioned our visit to Graham’s Port Cellar and what a great experience we’d had. It turned out we were talking to the CEO of Taylor’s Port and we’d been gushing over the opposition. Oops! What a beautiful view from the Vintage Tasting Room of the river and bridge. It’s wonderful that they still keep the boats carrying barrels of port in the river and used them once a year in their race. It must be a fun event for the locals and tourist to attend. Do love a glass of Port. I did the Taylor’s tasting a couple of years ago and it was still €5 Richard – that’s probably why the CEO was flying easyJet! Ha ha! He was a really nice guy – if we see him again we’ll recommend they put the price up! I love port in all it’s shades, but I have to admit when I’m drinking it at my ‘local’ in Tavira, I have no idea which one it is. Does it matter – so long as it tastes good! I hope you didn’t upset the Taylor’s CEO too much! I went to their place – the tasting only cost €5 for three glasses (although that was in 2009). No, he was absolutely fine about it – healthy competition and all that! Thing that surprised me most was that we were right at the back of a Sleazyjet flight! 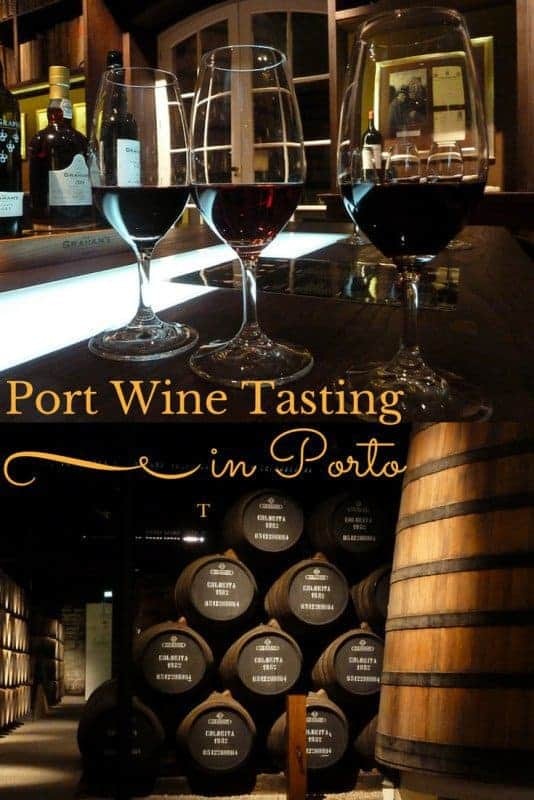 There were much cheaper Port tastings options and a lot of the cellars offer free tastings so something for everyone. I love the British connection! I quite like port with cheese, did they recommend other things to enjoy it with?